In cases involving injury or death, PROForensics can calculate the Special Damages including loss of earnings and benefits for both past losses and projected future losses. This includes reviewing impact on salaries, bonuses, dividends and pension benefits. 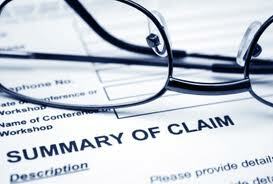 We can help you in settlement negotiations and, if necessary we can provide expert witness testimony in Court. Contact us today if you require this specialist service. For accidents that occur at work and result in a loss of earnings, PROForensics quantifies the Special Damages including loss of earnings. We are experienced in calculating expected earnings during the period of reduced life expectancy or lost years. When appropriate, we assist in settlement negotiations and, if the matter proceeds to litigation, we can provide expert witness testimony for Court. Contact us today if you require this specialist service. For Special Damages including loss of income arising from a medical negligence claim, PROForensics can quantify the effect of these losses. When medical negligence results in death, we assist with the financial calculation of damages for dependants. Contact us today if you require this specialist service. When motoring accidents result in Special Damages including loss of earnings, PROForensics quantifies lost employment income, including complex bonus and remuneration packages, or a loss of self-employed earnings derived from their own businesses. Contact us today if you require this specialist service.